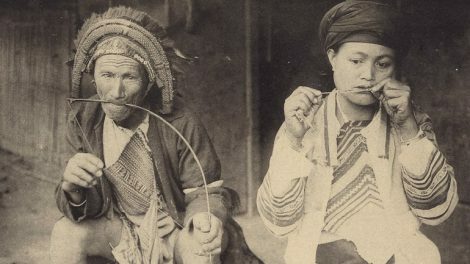 The East Asia Image Collection (EAIC) is an open-access archive of digitized photographs, negatives, postcards, rare books and slides under the general editorship of Paul D. Barclay, Associate Professor of History at Lafayette College, in partnership with staff at Digital Scholarship Services and Special Collections & College Archives. The partnership was established under the direction of Eric Luhrs, former Director of Digital Scholarship Services, and has included several contributors over the years. Many of the items digitized for the EAIC are catalogued in Special Collections; visit the Asian Collections Finding Aids for more information. The EAIC documents the history of imperial Japan (1868-1945), its Asian empire (1895-1945) and occupied Japan (1947-52). Images of Taiwan 台湾, Japan 日本, China 中国, Korea 朝鮮, Manchuria 満洲国, and Indonesia are included. The Collection is built around a core of visual materials donated to Skillman Library Special Collections by the family of Gerald and Rella Warner. Images unique to this collection include the Warners’ unpublished slides and negatives , made from snapshots taken during their years of US State Department service in Asia (1932-1952). 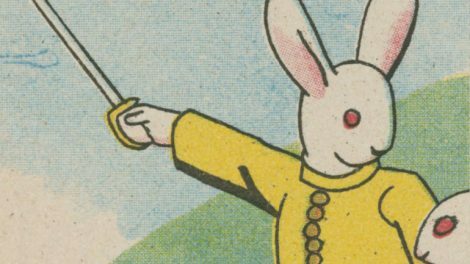 Rare materials include prewar picture postcards, high-quality commercial prints, and colonial era picture books. 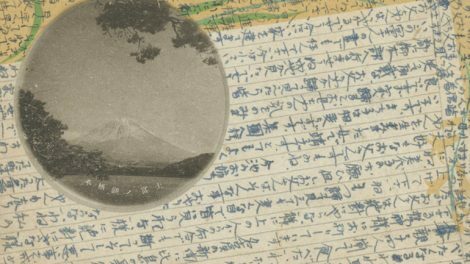 Each record in the East Asia Image Collection has been assigned subject headings, hyper-linked metadata, and, to the fullest extent possible, historiographical, bibliographical and technical data. The first 150 postcards of this collection are official portraits, political cartoons, caricatures, and editorials about the Russo-Japanese War (1904-1905). 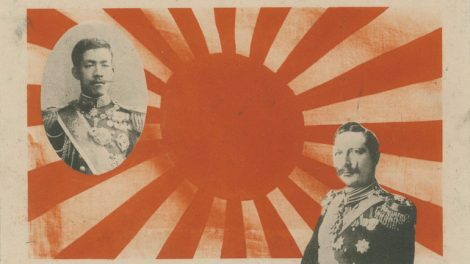 The Japanese cards exhibit bold design elements and extol military heroism. The Western cards illustrate fears of the "Yellow Peril," and varied appraisals of Japan as the newest member of the imperialist club. The next 100 cards illustrate, narrate and document Japan's occupation and invasion of China from 1931 through 1945, including cards about the international diplomatic environment. 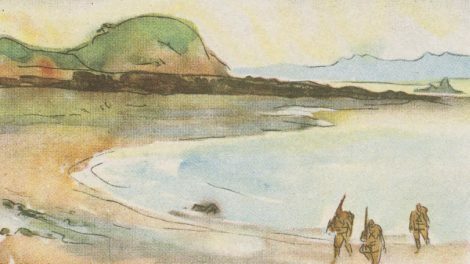 Over 100 examples of cartoon postcards of Japanese military life, colonial rule, and warfare from the 1930s and 1940s comprise the next set. The remaining 250 cards provide a wide array of patriotic themes and visions of idealized life on the homefront and in occupied territories. These include military songs and posters to commemorate important dates and years on the wartime ritual calendar. 127 postcards from this last section are from the collection Aikoku hyakunin isshu (愛国百人一首). These items retrofit wartime patriotic slogans into visual and poetic idioms from Japan's classical literary heritage. These 600 postcards were generously donated by Richard Mammana. The Truku-Japanese War of 1914 was the culmination of Japan's 20-year campaign to disarm and assert sovereignty over Taiwan's Indigenous Peoples. This 100-postcard set provides an intimate photographic portrait of camp life, logistics, battles, terrain, and Japanese interactions with Taiwanese conscripts, allies, enemies, and objects of ethnographic interest. 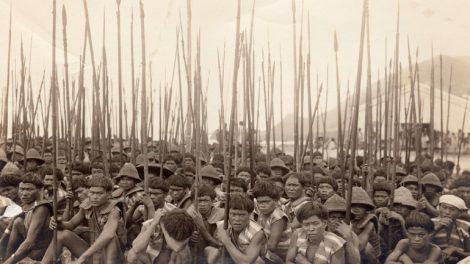 From May to August of 1914, the government deployed 3108 soldiers, 3127 police, and 4840 laborers (over 11,000 people) against a Truku population of roughly 10,000 people. The goal was to avenge previous uprisings and to finalize the conquest of the island colony. After burning several Truku villages, taking prisoners, confiscating rifles, and killing countless combatants, the Japanese declared victory on August 23, 1914. Mr. Fang Hsien-hui 方晛煇 lent these items to the Puli Municipal Library for a November 2014 exhibition. The Library's Mr. Chen Yi-fang 陳義方 arranged the transfer of digital images to the East Asia Image Collection, as well as providing invaluable advice. We also thank Dr. John Shufelt and Dr. Wang Peng-hui 王鵬惠for their contributions to this project. 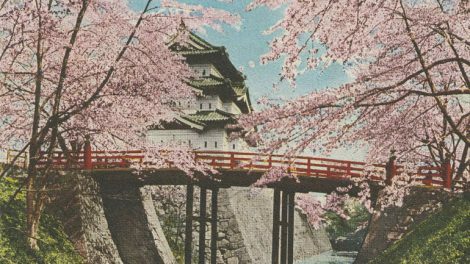 This postcard album is titled "Haeyuru kōshitsu," which means "the Glorious Imperial House." It contains 78 picture postcards. 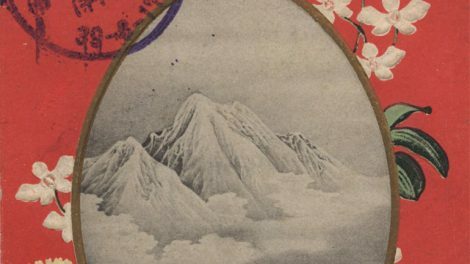 The album appears to have been compiled in Japan just after the Shōwa Emperor's enthronement ceremonies in November, 1928. Photographs of the Meiji, Taishō and Shōwa emperors and empresses, artistic renderings of the various state Shintō ceremonies associated with Japanese kingship, the celebration of imperial matrimony, and the Crown Prince Hirohito's 1923 visit to Taiwan are the main themes. These one hundred images from the Russo-Japanese War are mostly set in Dalian, away from the battlefront. The lengthy descriptions on the backs, reproduced in the "description.text.english" field, display a strong pro-Japan bias. Russians are absent in the imagery and maligned in the text. Local Chinese purveyors of goods and services are featured as enterprising, eager, and well treated by the Japanese. Laudatory portraits of Japanese officers and Western war-correspondents are also prominent. Descriptions of major battles are found throughout the sub-collection. This complete set of stereoview cards was generously donated by Richard Mammana. 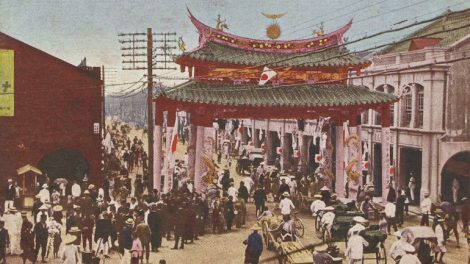 The Imperial Postcard Collection consists of imagery from Japan and its colonies, wartime China, and selected areas of the wider imperialized world, from 1900 to 1945. "Manners and Customs" cards from Manchuria, North and Central China, Korea, Taiwan, Honshu, and Hokkaido are prominent. Also included are images associated with the Russo-Japanese War (1904-1905), the Manchurian Incident (1931) and the Second Sino-Japanese War (1937), as well as portraits of Japanese heroes, royalty and statesmen. 1,756 postcards, 46 envelopes and two trading cards. These 105 picture postcards were purchased as an album that appears to be correspondence "from the battleground " 戦地より by one Tsubokura Monnosuke 坪倉紋之助 to Tsubokura Jirō 坪倉二郎, both of whom resided in Yotsuya Ward, Tokyo. Monnosuke was enlisted in the Fifth Army's Third Assistant Porter Company 出征第五師団第三補助輸卆隊. A majority of these cards are government-issue commemorative and soldier's consolation cards, while twenty-one of them are "pin-up girls." The 73 cards with legible postmarks were mailed between June 5, 1904 and April 15, 1906. A few of these cards were to and from other addressees and senders. From the July 7, 1941, dedication: "This postcard album was published with war relief contributions....Thus, it is hoped that it will accompany troops and be used for mementos." These postcards are watercolors of scenes from China, painted by Mutō Yashū 武藤夜舟, Kojō Kōkan 古城江観, Seno Kakuzō 瀬野覚蔵, Kobayakawa Atsushirō 小早川篤四郎, Kojima Matsunosuke 古島松之助, Mikuni Hisashi 三國久, Mikami Tomoharu 三上智治 and others. There are 92 postcards in this album. This album shares publication details with "Sino-Japanese War Postcard Album 01." Michael J. Stosic (1914-2010) presumably collected this album during his tour of combat, as a member of the 317th Troop Carrier Group, which was stationed variously in New Guinea, the Dutch East Indies, the Philippines, Okinawa, Korea, and Japan. 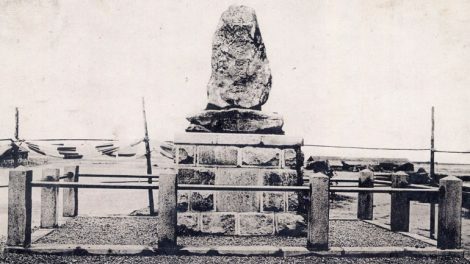 The original owner was Satō Kichinoshin. 53 postcards, including images of Chinese Treaty Ports, Arawashi Japanese fighter planes, and other Chinese themes. 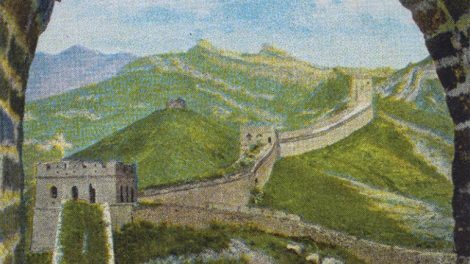 The Lin Chia-feng (林佳楓) Family Postcard Collection contains 370 colonial-era postcards (1900-1945) from Taiwan, Japan, Korea and China. Industry, tourism, colonial governance, monuments, festivals, and public works are prominent themes. Noteworthy sets include: "Famous Places of Niigata 新潟名所", "Commemorative Postcards of the Yilan Waterworks 宜蘭水道通水記念", "Japanese Police Inspection of Canton 広東憲兵隊検閲済", "The Ancient Ruins of Gyeongju 慶州古跡", "40 years of Colonial Rule in Taiwan Commemorative Exhibition 始政四十周年記念台湾博覧会", "Yamagata Aquarium 山形県水族館" and "Luodong Timber Industry 羅東営林所." These postcards were lent to Lafayette College by Lin Shuchin and John Shufelt and were collected by Lin Chia-feng. This set of 48 playing cards was designed to help children memorize phrases and terms related to "national history." They were published in October 1935, as Japan was putting itself on a wartime footing. The army was ratcheting up pressure on the Nationalist government of China by stationing troops ever deeper into areas south and west of the puppet state of Manchukuo, which had been under Japanese occupation since September 1931. The cards are thus all related to soldiering and martial values. It was published by the Jinseidō company in Kanda, Tokyo, and sold for 15 sen and promised to "make entrance examination preparation truly fun." These cards were generously donated to Skillman Library Special Collections by Richard Mammana. The Pacific War Collection contains 36 postcards sent from Japanese civilians to surrendered Japanese soldiers in the Philippine Islands, Sumatra, and the South Seas. All of these postcards were processed by the Civilian Censorship Detachment (CCD) of the Supreme Commander of the Allied Powers (also known as SCAP). Each record contains a postcard and its contents (usually personal communications to family members), an English translation of the address, and the backs of the cards, which contain postal information and the CCD's censorship stamps. Identifiable postmarks range from August 19, 1945 to March 10, 1946. 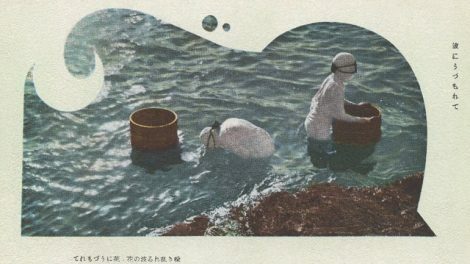 517 colonial-era (1895-1945) postcards from Japanese governed Taiwan. Various postcard companies, genres, printing formats and time periods are represented. Noteworthy are several official commemorative sets 台湾総督府始政記念 issued by the Taiwan Government General 台湾総督府, and dozens of b/w cards published between 1900 and the 1920s. These older cards contain several thematic elements and represent postcard companies that drop out of the historical record by the mid 1930s. These postcards were lent to Lafayette College for scanning and publication by collector Michael Lewis. These items were collected in Taiwan by Gerald and Rella Warner during Gerald's service as US Consul between August 26, 1937 and March 8, 1941. Warner Taiwan Postcards contains 201 postcards and 139 b/w commercial photographs from that period. Many of these images also appear in colonial-period albums such as Suzuki Hideo 鈴木秀夫, ed., Taiwan bankai tenbō 台灣蕃界展望. (Taipei: Riban no tomo, 1935) and Katsuyama Yoshisaku 勝山吉作, ed., Taiwan shōkai saishin shashinshū 臺灣紹介最新写真集 (Taipei, 1931). Gift of Dallas Finn. US Consul to Taiwan Gerald Warner and his wife Rella created these 275 photographic negatives between June 11, 1938 and July 27, 1938. Most (257) were taken in the Dutch East Indies (Indonesia) during a vacation from consular duties in Taiwan. The remainder were taken in Hong Kong harbor (17) and Shantou (1). 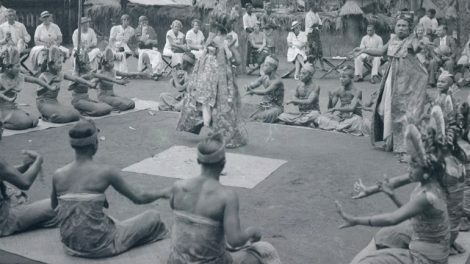 The following themes are most prominent: working conditions and equipment in ports and harbors, tourist attractions (including Borobudur, Balinese drama, and temple architecture), agricultural scenes, village life, and local markets. The captions for these images are taken from hand-written comments in the Warners' photo albums. Gift of the Estate of Gerald and Rella Warner. 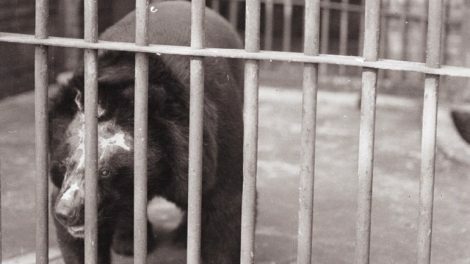 US Vice Consul to Mukden (Shenyang) Gerald Warner created these 298 photographs between March 22, 1934 and August 2, 1935. 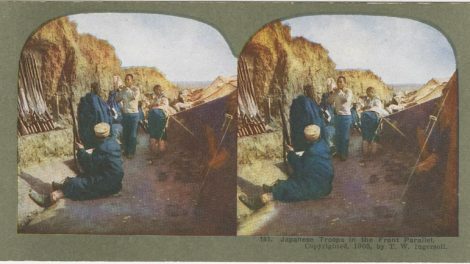 Noteworthy are images of a parade for the 30th Anniversary of the Russo-Japanese War 日露戦争, complete with floats, Japanese revelers in Russian costumes, and crowds celebrating victory. Pictures from Manzhouli 満州里, with its mixture of Russian, Manchu and Chinese architecture, are also prominent. The North Manchuria Railway, the Zhaoling 昭陵 and Fuling 福陵 Mausoleum complexes, Shisheng Temple, life in Shenyang's old and new quarters, and several other topics--from coal mines to military drills--are also depicted. Gift of the Estate of Gerald and Rella Warner. US Consul to Taiwan Gerald Warner and his wife Rella created these 369 photographic negatives between August 26, 1937 and March 8, 1941. Depicted is the daily life of the dwindling and besieged Western community on the eve of the Pacific War. Just as prominent are urban and rural scenes of Japanese, Taiwanese, and expatriate life in Taiwan. The Warners' short trips to tourist destinations in Tainan 台南, Taroko Gorge タロコ峡, Sun Moon Lake 日月潭, Mount Kappan 角板山, and Orchid Island 紅頭嶼 (Lanyu) are also illustrated. Unposed photographs of the neighborhoods, festival life, and pastimes of the Japanese residents of Taipei are noteworthy. The captions for these images are taken from hand-written comments in the Warners' photo albums. Gift of the Estate of Gerald and Rella Warner. 567 color slides from the personal collection of US State Department official Gerald Warner and his wife Rella Warner. The great majority were produced between 1947 and 1951, during the US Occupation of Japan. Included are scenes of postwar reconstruction, urban and village life, military reviews, May Day parades, and portraits of formal and informal aspects of Japanese-Western diplomacy. 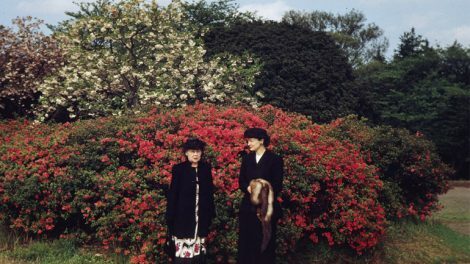 Pictures of domestic life and scenery in Karuizawa 軽井沢, Yokohama 横浜, Kobe 神戸 and Tokyo, as well as photos of Yoshida Shigeru 吉田茂, Ikeda Hayato 池田勇人, Douglas MacArthur, Syngman Rhee, Lyndon Johnson, and Ural Johnson, are also included. Gift of the Estate of Gerald and Rella Warner. These sixty-one hand-colored b/w prints and lithographed postcards were collected by Gerald and Rella Warner during State Department postings in China (January 1932 to August 1935) and Japan (July 1948 to June 1950). 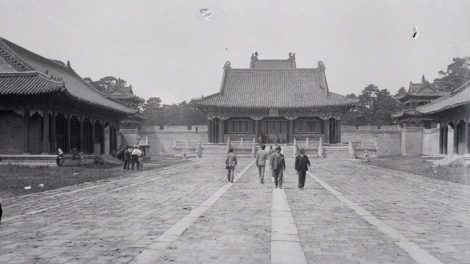 Included are forty commercial photographs and twelve postcards of tourist sites in Beijing from the "Nanjing Decade" (1928-1937), when Beijing was also known as "Peiping." Also included are eight photos of landmarks in Tokyo during the period of U.S. Occupation (1945-1952). These 25 prints and 18 postcards of colonial Taiwan were collected on-site by David Woodsworth (1918-2010) in the fall of 1940. Woodsworth's brother-in-law and host Donald Bews (1911-2008) was director of the McKay Memorial Hospital in Taipei from 1939 to 1941 and intimate of US Consul Gerald Warner (1907-1989). Prominent are images of Taiwan Indigenous Peoples, their artwork, architecture and natural environment. Also featured are pictures of the Sun Moon Lake resort area. Images scanned and used with the permission of Andrew Woodsworth. 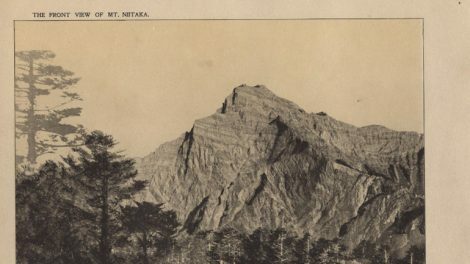 'Taiwan no fūkō' (Scenic Taiwan) 台湾の風光is one of many photo albums published in the 1930s that depict different areas of the Japanese Empire. This particular volume was published in Wakayama Prefecture in or after 1938, though it appeared in a less censored form in 1934. Its editor, one Yamazaki Kin'ichirō (or Kane'ichirō) (1897-1985), published several albums of Taiwan, Manchuria, and Hokkaidō photographs in this same decade. 'Scenic Taiwan' extols the good results of Japanese colonial rule, both in picture and in text. This digital version features the editor's translations of all captions, along with the original Japanese, providing a resource for studies in colonial architecture, discourse, and East Asian folkways. 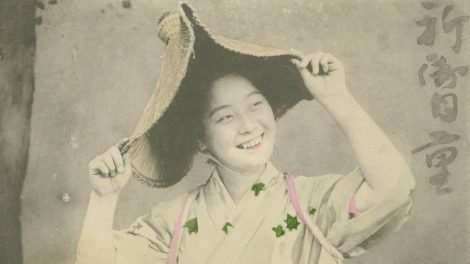 The Taiwan shashinchō 台湾写真帳 (Taiwan Photograph Album) was published monthly from November 1914 through December 1915, for a total of 14 issues. The 468 pages captured for this collection include reprints of photographs from other Japanese publications, and many unique photographs. The "Monthly" was published in Tainan by the "Taiwan Shashinkai" 台湾写真会 (Taiwan Photography Society). 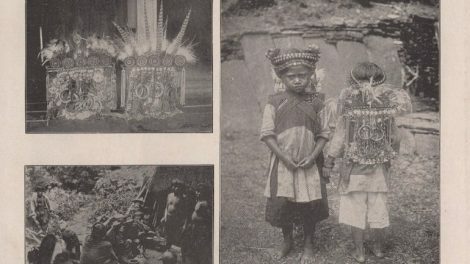 While the photographs themselves are of much interest, the generous captions provide researchers with a window into Japanese constructions of Taiwan in the early 1910s. 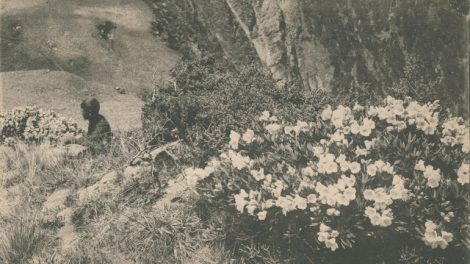 The editorial team has translated dozens of selected captions, which can be fruitfully compared to those found in the 1930s album "Scenic Taiwan."